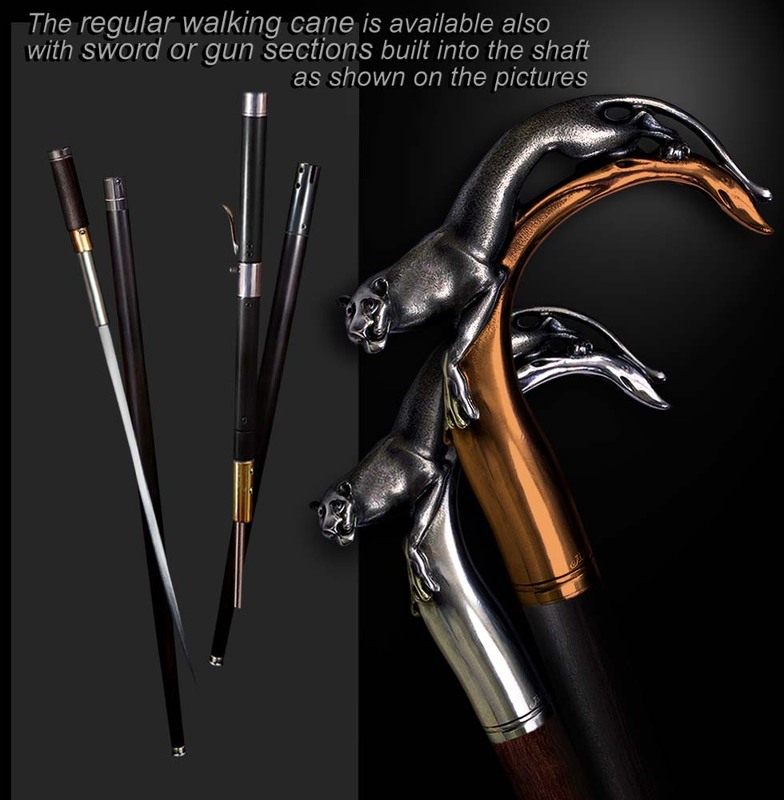 Handmade walking canes will be made individually at the customer request. Sterling or German silver mounted on an Ebony or Rosewood walking canes shafts. Custom walking canes are available with 24K Gold trim and natural gems as eyes. 1. Sterling silver (92.5%), approximately 6.5oz.